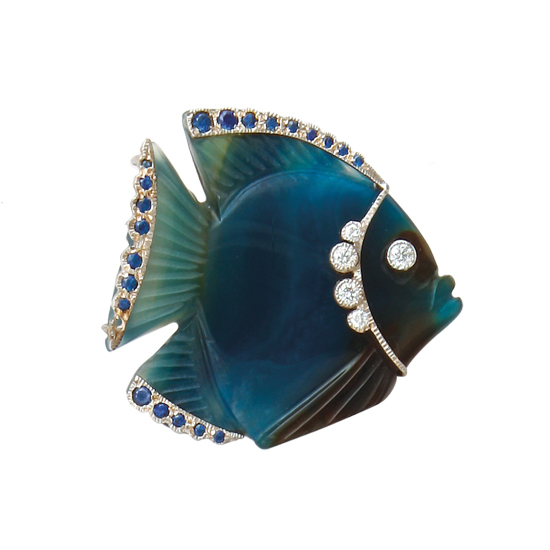 14Kt White Gold Carved Blue Green Agate Fish Pendant with .24TW of Blue Sapphires and .19TW of Diamonds. Handmade. One-of-a-Kind. A Cedar Chest original design.